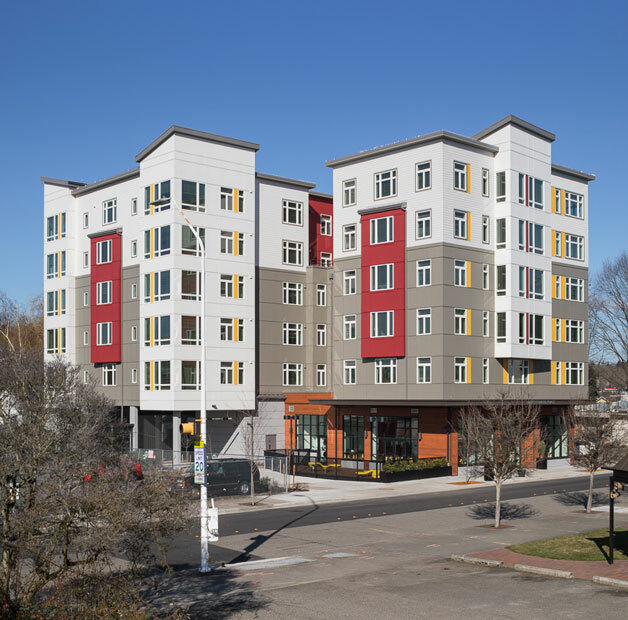 June Leonard Place | WALSH Construction Co.
June Leonard Place aims to expand housing opportunities in the city’s metro area with rents that are affordable to working families in a location accessible to transportation. A welcoming design includes walkways friendly to pedestrians and those commuting by bike. 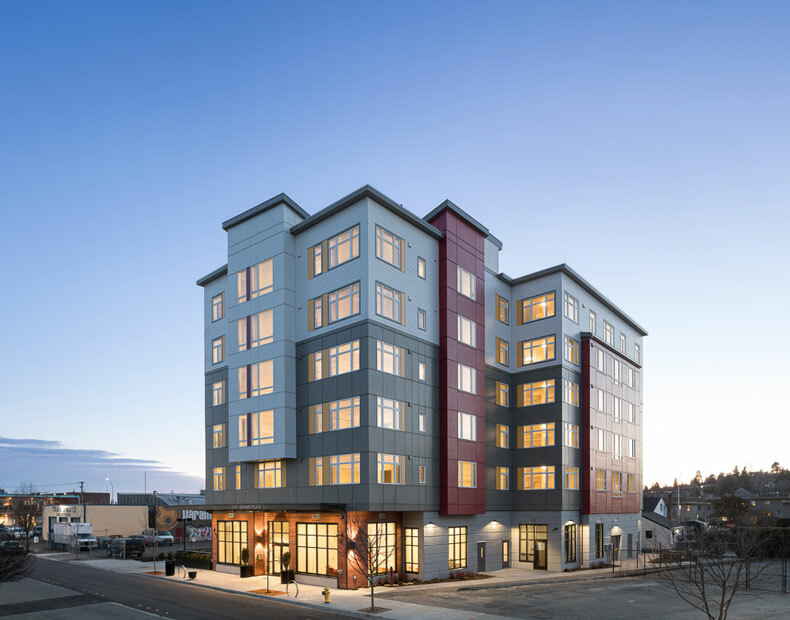 The six-story building has 48 affordable units suited for individuals, couples or families, from studio to three-bedroom apartments, with units available to those exiting homelessness. Common areas in the 46,227 square foot building include a kitchen for community events. On-site parking, a bike storage canopy and manager’s office are located at ground level. Special features include an outdoor children’s play area. Street improvements create widened sidewalks and will add landscaping, bench seating, bike racks and exterior lighting, underscoring the project’s emphasis on community. RDF self-performed the concrete work and installation of weather resistive barriers. We are pleased to announce June Leonard Place has surpassed the State of Washington 2015 Energy Code required (0.25 cfm/sf) for whole building air tightness by achieving a new “best” in Washington at 0.123 cfm/sf. The project is named in honor of community activist June Leonard, who served in the Washington Legislature from 1985-1994. Her interests included children and family issues, senior services, health and drug abuse prevention, education and environmental programs.